Llanfair Waterdine festival is wowed………….. by George! The Llanfair Waterdine Arts and Gardens’ Festival is now in its sixth year and its popularity increases with every year that passes. In particular, the final event of the Festival has gained its own reputation for musical excellence and entertainment and this year was no exception. 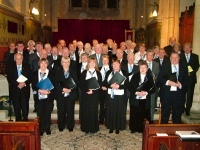 The Llanfair Singers, who are the choir in residence, once again showed their versatility with a concert of two distinct parts – the first included arrangements of popular pieces such as Moon River, Bohemian Rhapsody, Is this the way to Amarillo along with humorous pieces such as Orpheus in the Underground. The second was a sombre and fitting remembrance to mark the Centenary of the First World War. Not only was there a mixture of war poems and music including Elgar’s arrangement of They shall grow not old along with poems by McCrae, Kipling and Owen but also the first performance of a piece commissioned by the choir and written especially for the occasion by the Clun composer and music graduate, George Montague (Pictured here following the performance). Entitled Futility,it not only put the words of that poem by Wilfred Owen to music but, in so doing, evoked the emotions expressed in the most powerful of ways. The audience were spellbound. The praise heaped upon the composer afterwards said it all and there was a real feeling that, not only were the choir privileged to give the first performance of this outstanding piece, but that Futility is likely to become a standard for many choirs for Remembrance Day. George is currently a leading tenor with the Llanfair singers and it was fitting that he was amongst those singing his piece under the baton of conductor Graham Trew. 7th June 2014 Llanfair sings Choral Evensong at Brecon Cathedral……………. At 3.45 in the afternoon! After the accolades of Bridstow, the pressure was really on for the choir to perform at their best at Brecon. That the Cathedral had failed to announce on their website that it was either a Choral Evensong, or that the Llanfair singers were singing, might have given the choir permission to feel that there was no pressure………… but personal pride meant that there most definitely WAS pressure. After 90 minutes of rehearsal and an opportunity to become accustomed to the accoustics the choir gave a polished performance with antiphonal singing of the psalm, strong responses (allowing for the changes necessitated by Welsh protocol) and a rousing anthem - albeit to a somewhat smaller congregation than expected. After the Llanfair Arts and Gardens festival the next stop is St Paul’s – the pressure is definitely on! 10th May 2014 Meet the Llan”great” singers…………………..
Not the Llanfair singers but the LlanGREAT singers. That was how the audience at Bridstow cast the choir after their performance of both sacred and secular music. Such accolades could easily go to ones head! The programme of music ranged across the complete spectrum from such sublime pieces as Mozart’s Requiem and Locus Iste to the humorous with the Three Minute Messiah and Flanders and Swan’s Ill Wind! When coupled with a selection of modern pieces such as Queen’s Bohemian Rhapsody and an arrangement of Procul Harem’s A Whiter shade of Pale thrown in for good measure, the versatility of the choir was certainly put to the test! That the choir received not only the accolade above but “that we were the best choir that they had ever entertained” was a wonderful tribute which the choir now has to live up to. The maxim that one is only as good as the next performance, sadly, rings true – and the pressure is now on! Bridstow require the sincere thanks of the choir, too, for laying on outstanding hospitality which meant that the long drive home was done with fully sated and contented passengers. Thank YOU, Bridstow, for being such a wonderful and hospitable audience. The Christmas season kicked off to an early start this year with St Edward’s Church, Knighton being the venue for a charity concert of Christmas music performed by the highly acclaimed Llanfair Singers under their Director, Graham Trew. The repertoire was a wonderful and eclectic mix of Christmas music selected from the choir’s recently released CD and included well-known Christmas anthems, less well-known Christmas Carols and exciting arrangements of popular Christmas songs. The choir have built their reputation on singing both religious and secular music and, having sung choral evensong at Hereford Cathedral, are scheduled to sing across the breadth of the UK - Brecon, Worcester and St Paul’s Cathedrals being amongst the choir’s engagements for the next twelve months. Closer to home the choir will be singing Christmas Carols in the Knighton Community Centre for the Christmas market on Dec 14th. The audience at St Edward’s were not only treated to wonderful music but also to a fine supper with wine provided by the Real Wine Company. 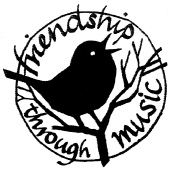 The concert raised over £500 for the supported charities of Hope House, Shelter and the Knighton and District Leg Club. Singing for silver not for brass! For those who don’t know the difference between a silver band and a brass band it is simple: It’s the colour of the instruments! Since silver is more expensive than brass it was always assumed that Silver Bands were far wealthier than their brass counterparts. Enter… the Knighton Silver Band at whose concert the Llanfair Singers were the invited guest performers. The two musical styles balanced each other perfectly and such balance comes about as much by the choice of music as by the quality of performance. The challenge for any choir is having a new repertoire for every occasion. To have a new repertoire ready following a four week break after the recording of a CD is challenging. To have three new and complex pieces to master in just three days is, it now appears, standard fare for the Llanfair singers who not only managed it, but managed it magnificently! The selection of choral works from Mozart and Bruckner were mixed with modern easy-listening pieces such as “Fields of Gold” in Roger Emmerson’s classic arrangement fitted between many of the choir’s old favourites. The evening proved to be a most enjoyable performance for both choir and audience and a good way to return from a four-week break. The release of the choir’s CD of Christmas music at the end of November, timed to coincide with the round of Christmas performances starting on 30th November with the Christmas concert at St Edwards church, Knighton, looks destined to provide another hectic schedule for the singers. Choral Evensong is one of the great Anglican traditions, wonderful to listen to and even more wonderful to sing. The epitome however, must be to sing Choral Evensong in a Cathedral with its fabulous acoustics, inspiring architecture and overwhelming sense of history. For the Llanfair Singers that experience was realised in Hereford Cathedral. Arriving at 3.00 pm the choir assembled in the “Song Room”, the walls of which tell of its history with the names of generations of previous choristers inscribed into wooden panels affixed to the walls. Graffiti suddenly becomes acceptable when it is history and definitely, when some of those whose names are inscribed have become bywords for musical excellence. Once organist Gavin Roberts had arrived, choirmaster Graham Trew called the choir to order; the warm-up and first rehearsal was under way. Moments later the verger appeared and, after Majordomo Richard Lewis had organised the seating arrangement, precession practice took place - twice. The Precentor arrived and together the responses were practised from the choir stalls. Stanford’s Magnificat and Nunc Dimitus were sung - with the choir relishing the acoustic enhancement. Then finally the anthem Oh Thou the Central Orb, sung with a passion that had visitors to the Cathedral stopping in their tracks with admiration – some even choosing to stay for evensong to hear it again! A rehearsal of recessing, a well-earned cup of tea and then the real thing. It was an experience not to be missed. If singing in Hereford Cathedral was that rewarding and that wonderful, then how the choir will feel after the experience of singing in St Paul’s Cathedral on July 14th 2014 one can only guess – and anticipate eagerly! See you there? The Stour Valley Singers arrived with the sunshine on Friday 31st May and we hosted a supper for all as a welcome. Jenny Perry was in charge of the food and did us proud, producing a spectacular spread with the help of lots of sous chefs, servers, clearers and washer-uppers. It was a lovely start to a busy weekend. On Saturday afternoon, after a morning spent getting to know each other, the two choirs got together in St Edward’s Church, Knighton to rehearse for the evening’s performance. A lot of time was taken putting people in their places (to sing) and fitting the two choirs together for the four songs we were going to be performing together. We worked hard and were ready for tea at 5.00 - another lovely spread put together by Jenny and her team. The performance that evening was a great event, nearly 120 people came to listen to our ‘Songs for a Summer Evening’, which was finished off with a rousing verse of ‘God Save the Queen’ to celebrate Queen Elizabeth’s Coronation 60 years ago. Becky’s solo was well received with a complete silence in the Church as everyone listened for the fairies! Cheese and wine was provided after the concert in the church hall - another chance for the two choirs to natter and socialise. On Sunday, our guests and their hosts and those visitors who were camping all did their own thing for the day, but we convened again in the evening at The Knighton Hotel for a farewell dinner. The food was superb and Jenny could relax and enjoy it this time! There was an impromptu and surprise ode to the Llanfair Singers, sung by Tom Cogan, accompanied by Susi Morrow and written by Pippa York - I have got a copy of the words for the website as I know some people could not hear them very well (Llanfair Song words). Janet from the Stour Valley Singers gave a speech of thanks, which had some of us wiping our eyes and we have been invited back to Suffolk in two year’s time for another weekend of Friendship through Music. Credit for the smooth running of the weekend should go to both Anthony from the Llanfair Singers and Pippa from the Stour Valley Singers, who did such a good job, it looked easy! More thanks and again some, go to Jenny Perry for the food; Also to Tom and Graham for conducting and directing, to Susi and Richard for accompanying and to all the hosts for hosting. More pictures will be published as I get them and can be seen on the gallery page. Proceeds from the Concert on Saturday night will be going to Hope House, Children’s Hospice near Oswestry. The Llanfair Singers are delighted that Lord Berkeley has accepted the invitation to become President of the choir. His composition ‘The Oxen’ is one of the carols chosen for the second choir CD to be recorded in September. The composer, Michael Berkeley, son of the composer, the late Sir Lennox Berkeley and godson of Benjamin Britten was recently made a crossbench life-peer in recognition of his skills as a communicator as well as an arts practitioner in order to increase the representation of music and the arts in the House of Lords. Michael Berkeley, who lives near Knighton with his wife Deborah Rogers, is already President of Ludlow Music Club and Vice-President of the Knighton and District Music Society, where he and Graham Trew gave a concert of music by Michael, Lennox Berkeley, Benjamin Britten and Richard Rodney Bennett (one of Michael’s teachers). In 2012 Michael gave the annual Housman lecture on ‘The Name and Nature of Poetry’ at the Hay-on-Wye Festival. Michael Berkeley is a prolific composer of opera, choral music and song as well as orchestral and chamber music. 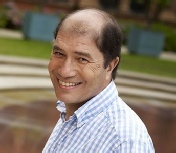 He is well known for his Radio 3 ‘Private Passions’ programme. We had a busy Christmas season starting with a charity concert at the beginning of December. This has become an annual event and involves a ploughman's supper after a mixture of carols, part songs, solo pieces and readings; this year we were proud to raise £600 split between Crisis at Christmas and the very worthy local charity The Bracken Trust, whose aim is to empower people to live with, through and beyond cancer by bringing together professional help, communities of support and creating an exceptional centre for cancer care. The Everest Hall was playing host to church services this Autumn, while St Mary’s Church heating and lighting were being renewed and thus the Carol Service found us in the Hall not the church, which was incredibly warm (for a church service). The Llanfair Singers were then invited to sing at the Knighton Farmers’ Market on the Saturday before Christmas in aid of Hope House and on the Sunday - another carol service in the Baptist Church in Knighton. The season finished on January 6th with an Epiphany Service in the newly refurbished church in Llanfair Waterdine. The fresh paintwork and the new combined heaters and lights were a lovely welcome back to the church. The Llanfair Singers enjoy an enviable reputation for both their versatility and their wide musical tastes and nowhere was that more evident than in their two recent concerts at The Everest Hall, Llanfair Waterdine on 7th November 2015 and at the Memorial Hall in Clun on 14th November. Entitled “From the Sublime to the Comic” that is exactly what the audience were treated to! Under the baton of their musical director, Graham Trew, the choir performed sections from Charpentier’s Midnight Mass (Messe de Minuit) accompanied by the Little Graig Orchestra followed by a romp through a mix of special anthems, spirituals, and modern pieces including Cohen’s Hallelujah! ending with a barn--storming rendition of “Dashing away with the smoothing iron” arranged by John Rutter. At the Everest Hall there was cabaret style seating, a ploughman’s supper, good wine and lots of bon-homie - all included - so it was no wonder that the event raised £1000 for Red Earth Education, a charity that works in rural Uganda to provide better quality teaching and learning through training and support of teachers who lack both resources and training. Starting 2015 as we mean to go on! With the arrival of the New Year there was a sudden urgency amongst choir members as preparations were made to lead choral evensong at yet another Cathedral – this time, Worcester - on Valentine’s Day (Brecon, Hereford, Worcester, St Paul’s – where next?) With the Magnificat and Nunc dimittis in B. minor by T. Tertius Noble, the anthem, O How Glorious is thy Kingdom by Basil Harwood and two new psalm chants there was much to learn, but it was definitely worth the effort given the very warm praise the service elicited. Click here to hear the choir perform the Magnificat recorded at Worcester Cathedral. Within moments of the copies of the anthem being put down, the copies of Mozart’s requiem were lifted in preparation for the round of Easter services – St Mary’s, Llanfair Waterdine , St Edward’s, Knighton et al – you have been warned! The Christmas season is always a busy time for any choir and it has been no different for the Llanfair singers. In the run up to Christmas, Remembrance was a key part of many performances. In marking one hundred years since the beginning of WW1, George Montagu’s haunting composition of “Futility” had a profound effect on all who heard the choir perform it, particularly at the annual charity performance – this time in aid of the Everest Hall refurbishment fund. There was a great mix of light and serious music accompanied by good food and a plentiful supply of wine. All of which helped to ensure that over £800 was raised. An impressive achievement. Christmas heralds the usual round of Carol singing whether at Knighton Farmers’ market (where the donations raised over £60 for the Knighton Food Bank) or singing locally, it all gives the choir the chance to let loose on familiar and less familiar carols and anthems. 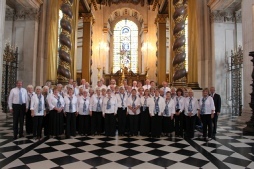 The reputation of the Llanfair Singers, an amateur choir of fifty members recruited from Knighton, Llanfair Waterdine and surrounding areas, has soared even higher with the invitation to lead Evensong at St Paul’s Cathedral on Monday, 14th July 2014. Under the baton of its Director, Graham Trew, and in front of a congregation of over 600 people the choir sang with great professionalism, bringing to a close an outstanding twelve months, during which it has released a second CD, sung evensong at the Cathedrals of Hereford and Brecon as well as St Paul’s and performed concerts of both sacred and secular music throughout the region. The 14th September sees the start of a new “choir year” with an afternoon Concert of both light hearted and serious music at St Giles’ church, Wrexham, with the choir singing choral evensong during the evening. The choir is already signed up to sing evensong at Worcester Cathedral and to give a concert in Suffolk amongst many other engagements - so the next twelve months look as if they will be equally exciting!